These non-traditional thermal oxidizers can utilize a carbon-neutral biofuel as an alternative to fossil fuels. These non-traditional thermal oxidizers can utilize a carbon-neutral biofuel as an alternative to fossil fuels. Thermal Oxidizers are employed as pollution control devices for the thermal destruction of organic compounds (OCs), volatile organic compounds (VOCs), and organic particulate issuing from a process. The OCs or VOCs are routed to a refractory-lined vessel where they are heated to above 1,400°F in the presence of oxygen. The pollutants are briefly retained, oxidized, and reformed as CO2 and water. 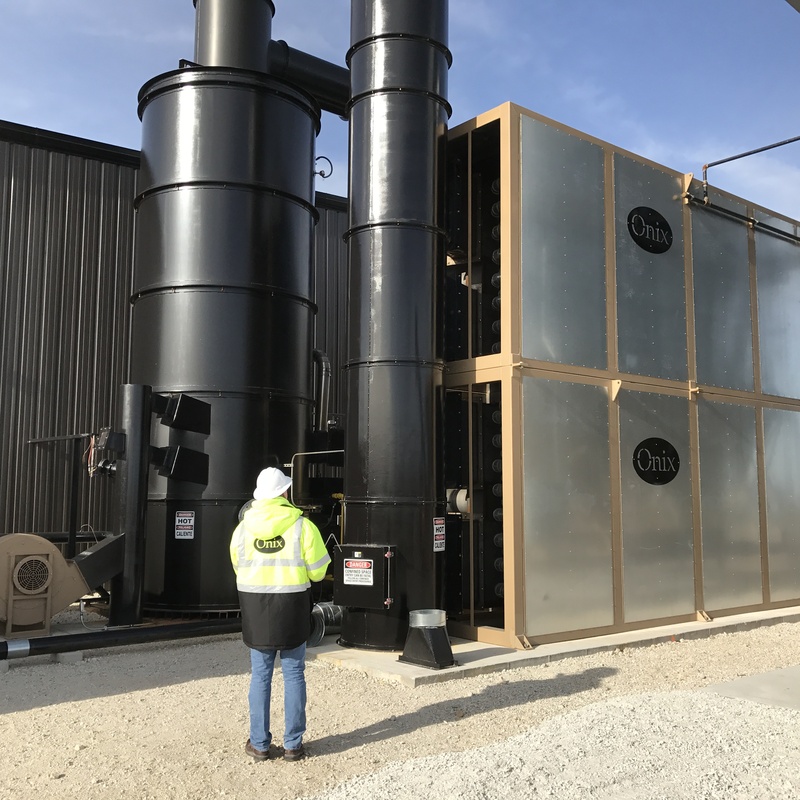 The ONIX Corporation’s thermal oxidizers have the capability of using an environmentally-friendly biofuel to heat the solid, liquid, or gas to an oxidizing temperature. Energy recovery is performed through a flue-gas-to-air heat exchanger, boiler, or by directing the post-oxidation gas directly to the inside of a rotary dryer (direct heating) or outside of a rotary kiln (indirect heating). The spent, cooled, post-oxidation gas is then routed to an ONIX Corporation particulate control system for solid particle removal. 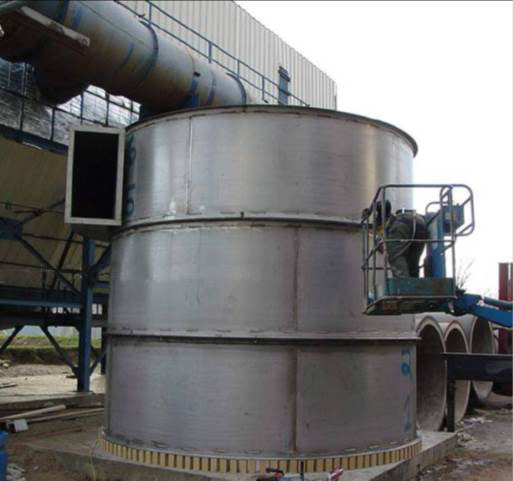 VOCs emanating from a rotary drying process can be routed to an ONIX Corporation thermal oxidizer, thus destroying the VOCs and solid organic particulate. 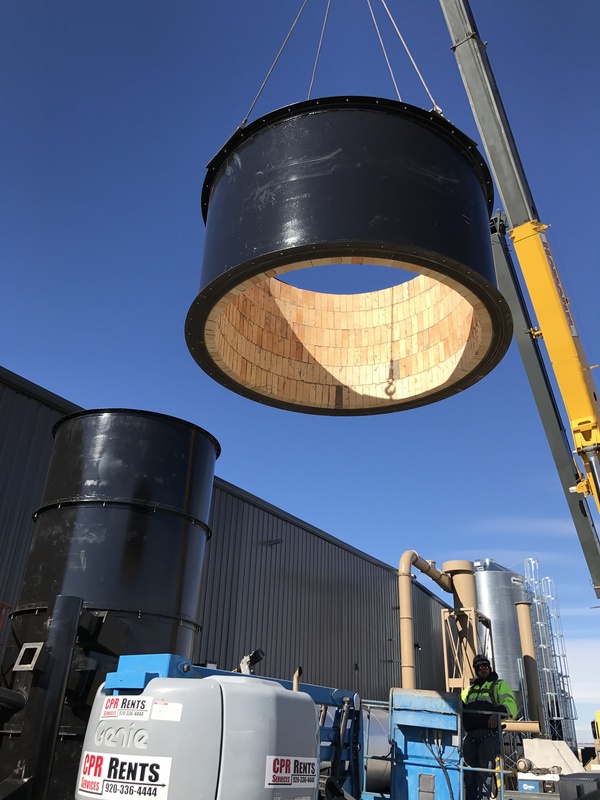 The drying process is then fired with the spent heat of the thermal oxidizer, and any remaining energy can be routed to a heat exchanger and bag filter. This concept is referred to as TPC drying and yields a drying process that typically has less than 1 pph of SOx, VOCs, OCs, PM, PM10, and PM02. The opacity issuing from this ONIX Corporation equipment is close to zero (less than 5%). This unique equipment train allows the rotary dryer to run at elevated inlet temperatures, since any smoke, odors, VOCs, and organic particulate is destroyed. With no restriction to rotary dryer inlet temperatures due to opacity, an existing rotary dryer’s production can be substantially increased.